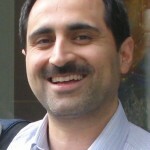 Kourosh VAHDATI received his Ph.D. degree in Horticultural Science, Fruit Breeding and Biotechnology from the University of Tehran in 2002. He completed a portion of his PhD thesis on walnut biotechnology as a Visiting Scholar at the Department of Pomology, University of California-Davis in 2000-2001. He subsequently join the faculty of the University of Tehran and lead the research projects on walnut. He returned to the UC Davis as an Associate Visiting Professor in 2010-2011 and conducted his sabbatical on genetic transformation of fruit trees rootstocks with therapeutic genes. He is a pioneer in introducing new methods for walnut propagation and currently working on rootstock breeding of walnut for resistance to abiotic stresses. He has taught graduate and undergraduate courses in growing, breeding and biotechnology of fruit and nut trees and supervised several students in obtaining their M.Sc. and Ph.D. degrees. Dr. VAHDATI was elected Chairman of the Walnut Working Group of the International Society for Horticultural Science in 2011 and Iranian Centre of Excellence for Walnut Improvement and Technology in 2010, and presently serves in these positions. He has been on the editorial boards of several journals and has edited 3 books and published more than 50 refereed Journal articles and book chapters and over 100 articles as proceedings and abstracts. Dr. VAHDATI has made numerous contributions worldwide to the fields of walnut breeding and biotechnology (CV).